Home Columns Chris Eubank Jr – Too soon or not soon enough? 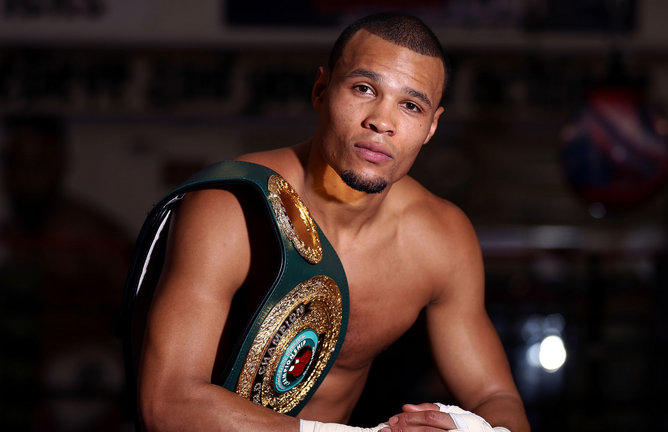 Chris Eubank Jr – Too soon or not soon enough? Eubank will be facing off against George Groves on February 17th in what will be his biggest fight in his career to date. The winner will not only leave with the WBA and IBO super middle weight titles but with all eyes on that fight, will potentially crossover to a wider audience. As one of boxing’s most polarizing and exciting young fighters from the UK competing in boxing’s most popular division, why doesn’t Chris Eubank Jr. get the worldwide recognition similar to other fighters coming out of the UK? Is it too soon to wonder, or isn’t it soon enough? Fighting in the Middleweight division where the premier fighters are the unified champion Gennady Golovkin (37-0-1, 33 KOs, along with Canelo Alvarez (49-1-1, 34 KOs) and Billy Joe Saunders (25-0, 12 KOs). While not atop of the division, fighters such as Daniel Jacobs (32-2, 29 KOs), David Lemieux (38-3, 33 KOs) and Jermall Charlo (26-0 20 KOs) are all recognizable names in the division. Labelled at 168 pounds known as the “Super” Middleweight, the division is run king by either Gilberto Ramirez, James DeGale or George Groves depending on who you speak too. Groves and DeGale. DeGale has fought in the US a few times and is a recognizable name, along with Groves. The young Gilberto Ramirez has been impressive fighting a few times in the US and with his Mexican backing should be a stable name to come. While he isn’t top ranked in the middleweight division, the popularity of Chris Eubank Jr hasn’t yet translated to worldwide levels. In America he is primary mentioned in the name with his father, or isn’t mentioned much at all, which is shocking given his personality, and his workings with Floyd Mayweather Sr. In his own right, Chris Eubank Sr. won world titles at middleweight and super middleweight, and was one of Great Britain’s biggest boxing stars of the 1990’s. Besides his superb boxing ability, he could talk and talk and talk, which gained him popularity in the US and worldwide. As the old saying goes with his son Eubank Jr, “the apple doesn’t fall far from the tree”. While he has nowhere near the list of accomplishments of his father as of yet in his career, he can certainly drop a solid quote, and he’s brash just like his old man. 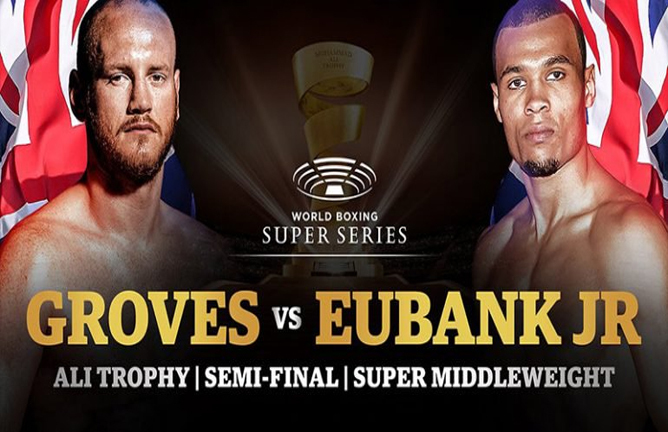 Eubank, with a record of 26-1 with 20 KOs with his only loss coming to Billy Joe Saunders back in 2014, will be facing off against George Groves on February 17th in what will be his biggest fight in his career to date. The winner will not only leave with the WBA and IBO super middle weight titles but with all eyes on that fight, will potentially crossover to a wider audience. Eubank if victorious could also finally cross the waters to the US audience as well, for his charisma will not only be welcomed but potentially set him up for big fights both north and south of the 168-pound limit. Anthony Joshua is the most recent UK example along with Amir Khan, Ricky Hatton, and many more UK born fighters with their strong UK fan base going on to become worldwide popular fighters, giving us some of the best worldwide fights. Eubank Jr. has the personality, the skill set, and the passion to be one of the most popular and recognizable names in the division and ultimately in the sport. While it’s not necessarily too soon to conclude he won’t reach the popularity of his fellow countrymen. It is however soon enough to demand it.